Get a taste of what it’s really like to live the mariner’s life. You probably know Fishermen’s Terminal from driving over the Ballard Bridge. 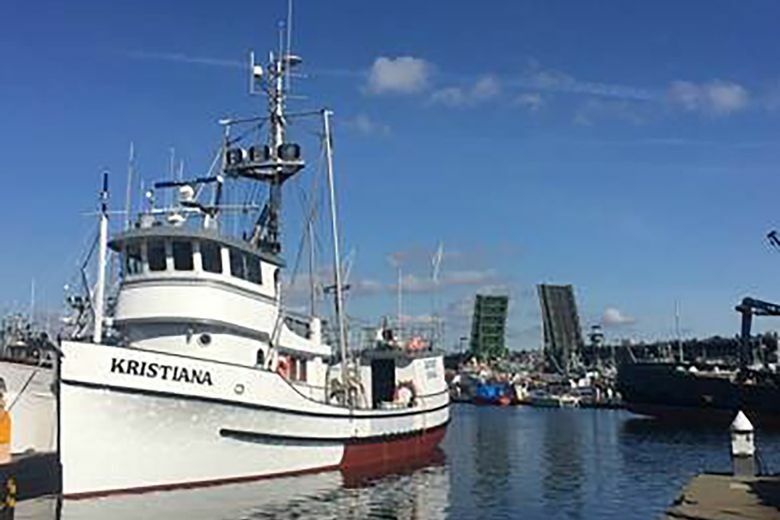 A complex tangle of boats and equipment that looks larger than life docked in Seattle, but ebbs in the summer as 400 commercial fishing vessels head to Alaska to catch cod, crab, halibut, mackerel and salmon. 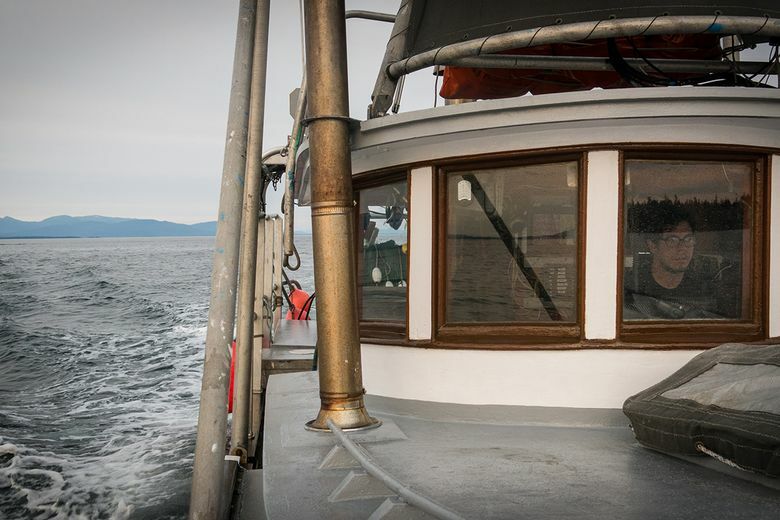 What’s it like to work on the water year after year as a real-life fishing vessel captain? 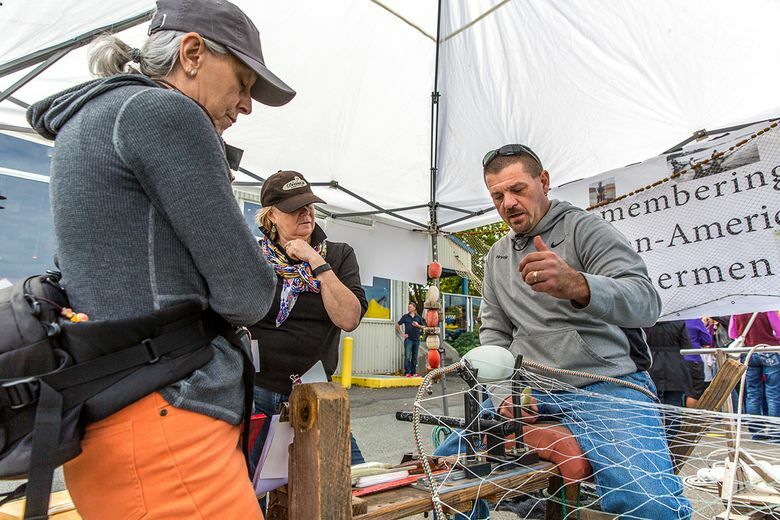 We spoke with a handful of local fishing skippers this spring to learn how they prepare for the season, what commercial fishing is really like and how they balance life at sea with life at home in Greater Seattle. 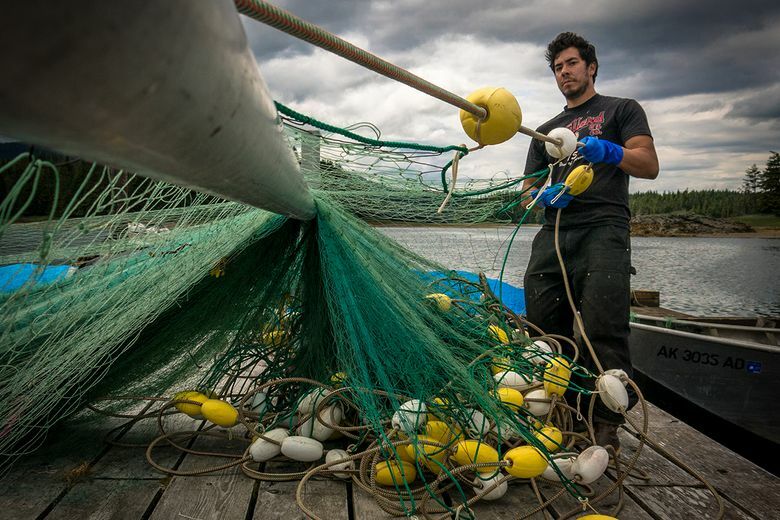 In 2015, the Alaska/North Pacific Fishery was worth $1.77 billion and weighed more than 6 billion pounds. That same year, the value of seafood exported through Seattle's and Tacoma's harbors was more than $800 million. Eighty percent of fish caught in Alaska gets exported overseas. The boats in the commercial fishing fleet at Fishermen’s Terminal range from 30 to 250 feet long, depending on the type of gear used. Think trawlers, gillnetters, purse seiners, longliners and pots. Although most captains set sail in the spring (and return late summer or fall), preparation for the season starts several weeks or months ahead of time. 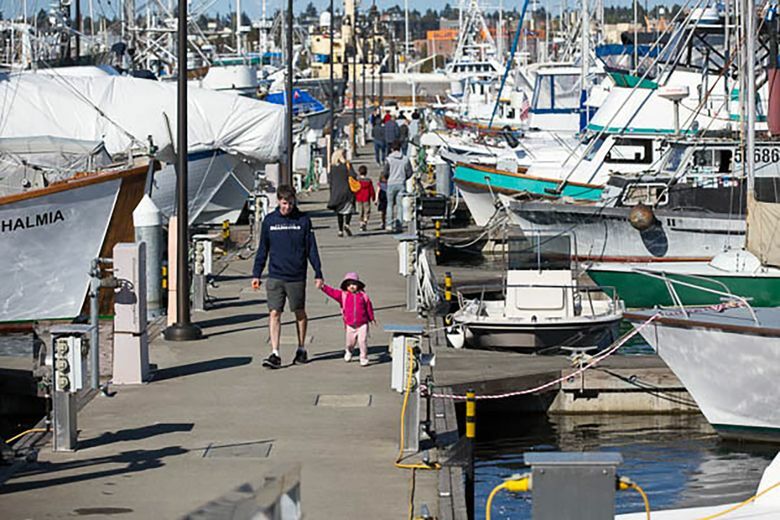 Michael Offerman, 40, from Edmonds, starts thinking about the fall and winter projects he needs to tackle on his 69–foot boat, Kristiana, while out at sea during the summer. Typical post-season touch-ups include painting, remodeling and electrical and mechanical tweaks, followed by a thorough inspection. “I can be coordinating schedules with carpenters, welders and electricians a year in advance,” says Offerman, a fourth-generation fisherman who’s been fishing for 18 seasons. 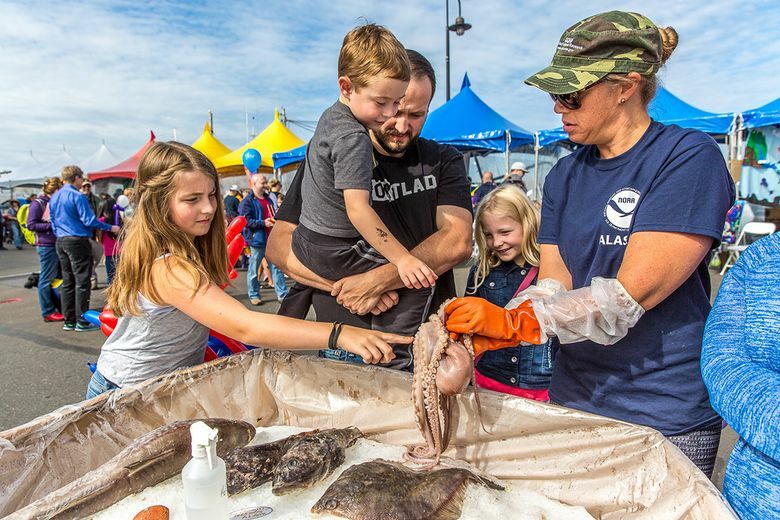 The Fishermen's Fall Festival celebrates the return of the North Pacific fishing fleet to the terminal and raises money for the Seattle Fishermen’s Memorial Foundation. demonstrations and delicious seafood. 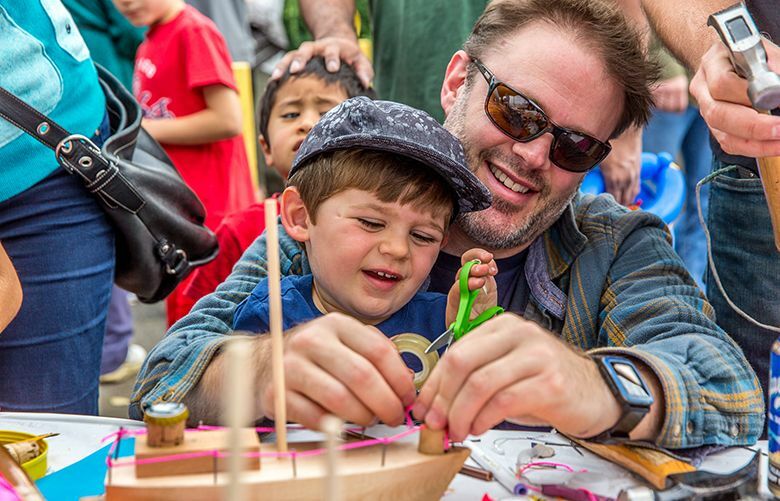 Hands-on art projects with fishing themes, including the popular wooden boat building and "Fishing for Fun" fish pond, are free for all children. The days leading up to a launch are a flurry of stocking up on food, bait and ice for chilling the fish; replacing gear from spare hooks to rain pants; and loading and readying the boat. At this stage, Offerman’s four-man crew arrives from their respective homes in Oregon, Alaska and North Seattle to help and to run through safety checks. Out on Alaska’s Bering Sea, Knutson and his small crew fish for three to five days straight and then head into town to unload their haul. Sleep is a precious commodity on the water, with catnaps snuck in a corner on a buoy bag or chair, he says. After unloading, Kevin Patrick, 65, from Federal Way, now in his forty-seventh season, will usually take a couple of days in town to “fuel up,” “grub up,” shower, do laundry and make any necessary repairs. The crew of his 58-foot Wonderland will spend a night cutting loose in town, then it’s back to sea to do it all over again. Admittedly the work isn’t quite as backbreaking as in decades past, thanks to newer fishing equipment and navigation technology as well as changes to fishing quotas. “You can fish longer during a trip and it’s not as damaging on the body,” Offerman says. As for the dangers of the job, captains and their crews take every safety precaution and then put the potential hazards out of their mind. Hour for hour, the job isn’t as daunting as it looks on reality TV. Being away from home for weeks on end isn’t easy. But these captains, many of whom have spouses and young children, make it work. 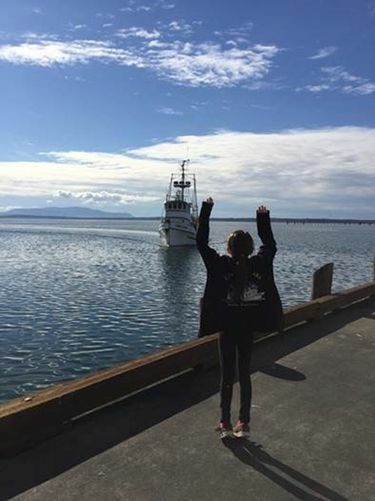 Offerman’s wife and two daughters, ages 8 and 12, see him off each March when his boat pulls out of Fishermen’s Terminal and greet him on the docks each November when the season’s over. He stays in touch with his wife by daily text messages, which is much more convenient and affordable than the weekly satellite phone calls he made to her in years past. “Now if I’m not texting her 12 times a day, she’ll wonder where I am,” Offerman says. There are upsides to the skipper’s schedule of course, namely the big stretches of time off. Knutson leaves for Alaska each Father’s Day and returns in August or September. He spends much of his winter downtime with his wife and two dogs at their Guemes Island cabin, hiking and taking the dogs swimming. And this winter he remodeled his house. When Patrick’s three children were young, he taught them to ski during his winters off, an activity he still enjoys during winters today, along with golf. He also attended most of his kids’ school assemblies and other events while home. “I was the dad at the PTA meetings with all the moms,” says Patrick, whose kids are now twentysomethings. Not all fishermen are grizzled old-timers. The new generation of captains includes many twenty- and thirtysomethings, some of them women. Offerman jokes that, at age 40, he’ll soon be the elder statesman of his boat. And with more and more fishermen from the boomer generation retiring – often referred to as the “silver tsunami” – there’s a need for newcomers. “I’m hopeful that more young people living in the Pacific Northwest will want to fish,” Offerman says. “Ours is a good job,” he adds, noting that his crew makes about $10,000 per trip, which translates to about $100,000 per season. Founded in 1911, on behalf of the people of King County, the Port owns and operates Seattle-Tacoma International Airport, two cruise ship terminals, Fishermen’s Terminal, one grain terminal, a public cargo terminal, four public marinas, and real estate assets.